Home - Chambers Services Inc.
Midwest's Top Choice for Heating, Cooling & Appliance Repair! Have a broken appliance in your home? Let the experts at Chambers fix it! Suffering from allergies? 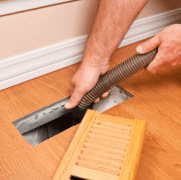 Breath easier after a Chamber Services duct cleaning! 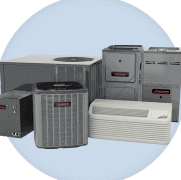 When your furnace or air needs repair, rely on the experts at Chambers! Ask about our heating and cooling units! We offer financing & install in a flash. Chambers Services is a family-owned business that has been established since 1995. Rob Chambers has worked in the industry for over 38 years. He started by carrying his father’s tool bags at the age of 12, and later worked full time with his father who owned Chambers Heating and Air Conditioning. Rob branched into used appliance sales and later appliance repair when he was in his early twenties. He has grown the current business from a single-person shop to a full-service business that specializes in major appliance repair as well as heating and cooling installation and repair. While Chambers Services provides the services of a large company, we take great pride in maintaining a family atmosphere. Rob considers his employees to be family, and our entire company extends that caring to you, our customer.